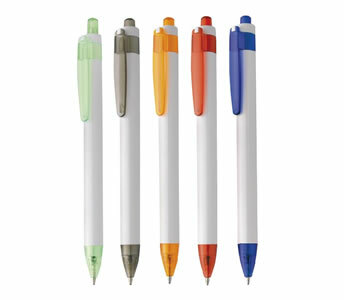 Classic white barrelled ballpen with bright translucent trim colours. Fanastic value and a promotional best seller. Price is inclusive of single colour print in one position. Can be printed upto 6 colours. There is a screen setup cost of £30 per colour. Design / artwork creation is FREE subject to artwork.